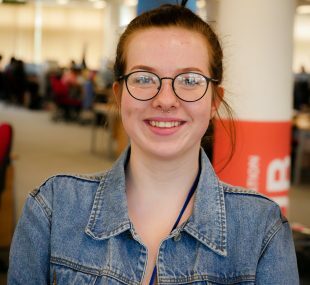 Hi, I’m Catherine Bailey, I’m coming to the end of my first year of A-Levels and I have just completed a work experience placement with the DWP Digital Engagement team in Leeds. I’m still deciding what I want to do when I finish my A-Levels, so I wasn’t sure what sort of opportunity to look at for my work experience. The opportunity with the Digital Engagement team in DWP came up and I thought it could be a good place to do something interesting and avoid filing or photocopying! I didn’t really know what kind of work was done in DWP but I was keen to give it a go to get some insight. I wasn’t expecting to be stimulated creatively during the week, but I was proven wrong when I arrived on Monday morning to be presented with a whiteboard showing an array of creative activities I’d be doing over the course of the week. 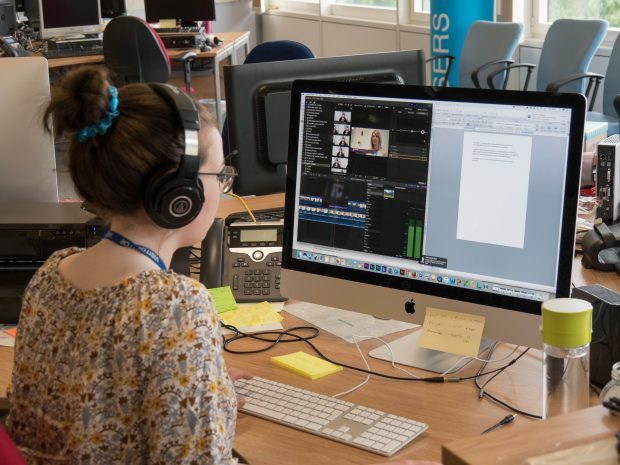 With tasks including photography, writing and video editing mapped out, it was a far cry from the shadowing I associated with these kinds of work placements. Every aspect of the experience was relatively new to me and even the smaller tasks, like learning about how the team plans its events schedule or writing up the transcript for a video, interested me in some way. Over the course of the week I didn’t just learn a lot about how an office for a government department functions, but I also learned a lot of new skills. I helped put together the storyline of a video and I had the chance to see how the team goes from filming 30 minutes of footage to editing the final 2 minute video. In a similar way I also got involved in the selection and editing process that begins with hundreds of photographs of an event and ends with 30-40 really good shots. I was fortunate enough to have hands on experience and towards the end of the week I took photos of a show and tell at the GDS Academy, which I then went on to edit. Throughout the week I also composed this blog post, detailing my experience. Plus I also helped in editing someone else’s blog post as well. This was a really useful way of working on critical analysis and aided me in writing my own blog. The last thing I did was a short video interview about the things I’d done during the week. This was a new experience for me and taught me that I prefer being behind the camera than in front of it! I’ve learnt a lot during my week at DWP and although I’m still not sure what I want to do in the future, there’s a great deal that I can take away from the experience. It’s opened me up to the endless possibilities and opportunities within an organisation like DWP Digital. I definitely never considered creative positions with opportunities for design would exist in the Civil Service. There are some skills I learnt that I will keep developing. 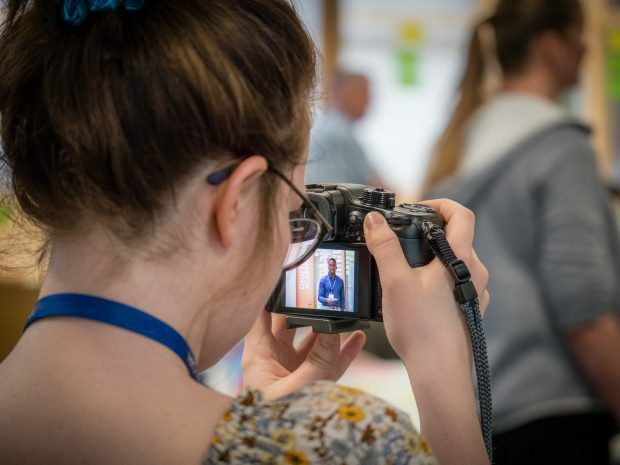 Photography interested me before I began my work experience and I had the opportunity to learn technical skills during the week, which I will continue to use. I’ve also learned that any new experience, whatever it may be, is invaluable and will most definitely teach you something about yourself that you didn’t already know. So my message to everyone is to go out and try something out of your comfort zone, whether it sounds interesting or not. You never know, you could be wrong about it, and you just might enjoy yourself!